SOME PEOPLE MAY BELIEVE OTHERWISE OR WALLOW in the nonsense that ignorance is bliss, but history matters. Today, we dwell near ground zero for for many pivotal achievements in American conservation history. For nearly 150 years, the Greater Yellowstone County has been the inspiration of some truly monumental milestones. From the designation of Yellowstone as the world’s first national park in 1872 to the establishment of the Shoshone Forest Reserve as our nation’s first national forest in 1891, this landscape has inspired conservation achievements never before witnessed in the history of the world. Decades later, this same landscape inspired residents to help write and urge Congress to pass laws that remain as visionary beacons of natural resource protection throughout the world. From their home in Moose, Wyoming, Olaus and Mardy Murie, two of Jackson Hole’s early conservation leaders, were deeply involved in the passage of the 1964 Wilderness Act. And the brothers Frank and John Craighead, also residents of Jackson Hole, were the driving force behind the writing and passage of the 1968 Wild and Scenic Rivers Act. Both of these landmark pieces of conservation legislation were, in part, inspired by the untamed nature of the Yellowstone country. Though often overlooked, another environmental milestone has its roots in the Yellowstone country: the inclusion of the word “ecosystem” into the name and conceptual framework of this large, specific landscape. The addition of a single word to a name may appear insignificant, but it represented a crucial turning point in American conservation history, for how we view and should manage wide-ranging wildlife. The inclusion of this one word came about as a result of the Craighead brother’s study of Yellowstone’s grizzly bear population from 1959 to 1970. By marking and radio collaring hundreds of bears, they were able to follow their life-long movements and estimate that the bear population was using about 5 million acres of the greater Yellowstone country. An area that spilled well beyond Yellowstone Park’s 2.2 million acres and included nearly every habitat type in the region, from mountain top to lower river valley and everything in-between. At first the Craigheads simply referred to the 5 million acres as the Yellowstone grizzly ecosystem, but soon the name evolved into The Greater Yellowstone Ecosystem, though there was resistance to accept the term from some of the federal agencies and politicians. Why? Because it challenged them to think bigger too, to contemplate the humbling lessons of nature that do not conform tidily to artificial human-made surveyor’s lines and bureaucratic silos. How fitting it is that the world’s first national park should be at the heart of one of the first and most well known landscape-wide regions to be identified by name as an ecosystem. And how fitting it is that the grizzly bear was the catalyst for this grand concept. Through their research, the Craigheads came to understand that it would take more than the park to sustain the region’s grizzly bear population. They recognized that it would take a much larger landscape, one with all its varieties of plant life, soils, microorganisms, renowned distinction as a geological hotspot, and accompanying animal species interacting in the timeless flow of life. It would take a complete and functioning ecosystem, a landscape not defined by political boundaries but by the needs of the Great Bear. With the Craighead’s findings, the ecosystem concept, then only a few decades old, began taking hold on the ground—where it belonged. As a consequence, the old practice of managing wildlife based upon political boundaries was challenged and began eroding, albeit very, very slowly. In those early years, state game agencies didn’t fully understand nor respond to wildlife’s year-round, complex habitat requirements, nor the important role predators played in maintaining ecosystem function and health. And neither did Yellowstone Park when it set out on a successful campaign to eliminate the wolf from within its boundaries. The great bear too was almost lost during that period, not so much due to direct persecution, but more through neglect, habitat loss and over-hunting, plus a lack of fully understanding its ecological needs. As the Craighead’s were completing their research, the new science of population genetics was emerging and it began grappling with the question: what is the minimum number of animals necessary to maintain sufficient genetic variability to ensure a population’s long-term viability? And subsequently, the correlate question: how are a population’s genetics impacted by isolation from or connectivity with other populations? And specifically, what role can movement corridors play in augmenting the genetic diversity of isolated populations? These questions remain front and center for many of today’s wildlife populations, but nowhere more so than for the Greater Yellowstone Ecosystem’s grizzlies – a relatively small population isolated from other grizzly populations. It is possible that if Yellowstone’s grizzly population were allowed to grow, it might eventually contain sufficient genetic diversity to sustain itself far into the future, thereby minimizing the need to mingle with other populations. Unfortunately, that future looks highly unlikely since the three states harboring Greater Yellowstone’s grizzlies—Wyoming, Montana and Idaho—seem hell-bent on reducing the population by implementing trophy hunting seasons once grizzlies come under their control. In essence, it means a regressive retreat from the promise of recovery. It is a situation contrary to what is best for the population and one, if allowed to play out, will greatly increase the need for safe movement corridors between Yellowstone’s grizzlies and the nearest population located in northwest Montana. Simply stated, absent a sufficiently large population and protection of movement corridors between populations, the long-term survival of the population, given human development pressure and the effects of climate change, raises many doubts about the ability of a viable population of grizzlies to persist. Ideally, we should have both a large number of bears spread out across the public lands that are their rightful home and a northern pathway for them to connect with others of their kind. Although the Craigheads were the first to use science to argue that it would take more then Yellowstone Park to save the grizzly bear, they were not the first to understand that the park’s boundaries were not near enough to protect the region’s wildlife. In 1882, while on a tour of the Yellowstone country, General Philip Sheridan recognized that the national park was not large enough to protect its wildlife populations, particularly its iconic Rocky Mountain elk. He vigorously pushed to nearly double the size of the park by extending the eastern and southern boundaries. Due to prevailing anti-park politics, his efforts failed. Currently, the Greater Yellowstone Ecosystem, as stated without protest in the May 2016 special issue of National Geographic, consists of approximately 18 million acres. The physiographic features have changed little over the decades, but the area now delineated as the Greater Yellowstone Ecosystem is a combination of several factors including the reality of the limited amount of wild lands remaining, the prevailing politics, and a landmass generally sufficient to provide year-round, long-term habitat for most, but not all of the ecosystem’s widest-ranging land animals. In recent years we have come to learn how more and more species use the ecosystem. Researchers have identified migration routes for mule deer, antelope, elk and moose that literally crisscross the ecosystem. We also know that the wolf population inhabits much of the ecosystem with the territories of many packs straddling the boundaries between the national forests and both national parks and our wildlife refuges, and of course portions of Wyoming, Montana and Idaho. And yet each state has its own plan to manage “their” wolves, meaning limiting their numbers through liberal trophy game hunting seasons. By striking contrast, the refuges’ and the parks’ approaches are to allow wolves the freedom to roam within their jurisdictions with very limited human interference. We are also familiar with the decades-long controversy that exists between Montana and Yellowstone Park due to the annual migrations across their shared boundary by native buffalo. And we know that deer, elk and antelope routinely cross hydrographic divides from one watershed to another and from one political jurisdiction to another. And we know too that while making these journeys, some individuals join other groups, thus contributing to the all-important genetic mixing within the greater populations. There are currently an estimated 717 grizzly bears occupying roughly 80 percent of the Greater Yellowstone Ecosystem. The occupied area includes portions of all the national forest, both national parks, swaths of private lands and the three states comprising the Greater Yellowstone Ecosystem. Although the grizzly bear population and its occupied range has expanded three-fold since the Craighead era, a sound argument can be made that the current population may not be sufficient to maintain the genetic diversity necessary to carry the population far into the future. I submit that one of our generation’s greatest challenges is to assure that when we pass forward management authority for this or any other ecosystem, that the resource is in as good or better condition then when we inherited it. We can do this if we stop acting provincially and begin thinking like an ecosystem. In 1983, the Interagency Grizzly Bear Committee was formed to address grizzly bear recovery and conservation at the population level and across agency and state boundaries. This represented a very respected effort to address the bear’s wellbeing at the ecosystem level. But like so many efforts involving so many differing jurisdictional missions, the results (Final Draft 2016 Conservation Strategy for the Grizzly Bear in the Greater Yellowstone Ecosystem) ended up being a compromise driven by the various missions and not what is particularly best for the species. What began with noble intentions, has fallen victim to jurisdictional mission conflict. Boundaries and politics still trump grizzly bear science. Our national parks are simply not large enough to support some of our nation’s most iconic and free-ranging native wildlife. We have long known this but seem reluctant to recognize that these are not simply “Yellowstone’s buffalo”, “the parks’ elk” or “the forests’ deer” or “the states’ moose” or the “Teton’s or Yellowstone’s antelope”. And we know that they do not exist in isolation from one and another. Each and every one is an integral part of the larger ecosystem. We have accumulated sufficient information to support the ecosystem approach to wildlife management. So why are agencies and government bodies so reluctant to work closely to establish long-range plans for entire populations regardless of jurisdictions? The Greater Yellowstone Ecosystem is the largest nearly intact ecosystem of its kind in the world. It is the largest, but it is not large. It is nearly intact, but it is not completely intact. Nevertheless, it is the best and the last of its kind that exists anywhere. It is ours to steward and it is ours to pass forward to future generations. I submit that one of our generation’s greatest challenges is to assure that when we pass forward management authority for this or any other ecosystem, that the resource is in as good or better condition then when we inherited it. We can do this if we stop acting provincially and begin thinking like an ecosystem. How will we do this: shall we allow our native wildlife to roam as free as possible, utilizing every acre of available habitat within the ecosystem, or will we limit them with arbitrarily drawn boundaries, each representing different management visions? Shall we manipulate their numbers based on differing agency preferences or shall we free them to nature’s intricate balancing mechanisms? How – and for what – shall our stewardship be judged? The Greater Yellowstone Ecosystem provides the best and largest stage remaining within the contiguous United States where all of its native species can live and die mostly by their own wits and not by some politically compromised management plan. This is one region where the fittest can survive, where the process of natural selection can play out nearly as it did hundreds of years ago. It is this process of nature selecting that has given us the amazing assortment of finely fitted wild species that we all have come to enjoy, to depend upon for our soul’s serenity, and even for our economic wellbeing. This process of natural selection is in every way as important to protect as it is to protect the characters necessary for this drama to continue playing out. Will we allow this ecosystem to function as time and nature designed, or will we continue to manipulate its components to our desires? Will we continue the proud conservation achievements recorded during the past century and a half and manage this land and its wildlife at the ecosystem level, or will we remain stuck in the past? We have here in the Greater Yellowstone Ecosystem the essence of a living museum, and we are its curators. Its future is in our hands. And yet, believe it or not, there are those who still think that grizzly bears, along with wolves and buffalo should be kept within the confines of Yellowstone National Park. Herd them, haze them, fence them- whatever it takes, keep the s. o. b’s in the park! In effect, build a fence- virtual or real around the park. It will be a huge fence, a beautiful fence, one that the grizzly, the wolf and the buffalo clans will happily pay for (with their lives). And while we’re at it, lets reduce their numbers so they “fit” in the park with no need to leave in search of food. Manage them according to our politics and prejudices, damn the ecosystem approach. This outrageous idea represents the very antithesis of what is best to insure that the generations a century from now will have the same opportunity to enjoy the true wilds of the Greater Yellowstone country. If we confine the grizzly, the wolf or the buffalo to constricted political boundaries we have failed as stewards. If we leave habitats vacant of their rightful occupants, we will leave a museum with empty galleries. If we confine the grizzly, the wolf or the buffalo to constricted political boundaries we have failed as stewards. If we leave habitats vacant of their rightful occupants, we will leave a museum with empty galleries. It would be a crime against the future if we reverted back to the pre-Craighead era of wildlife management “by the boundaries”, or if we managed with the anti-predator prejudices of the past. What the Craigheads began with their application of the ecosystem concept to bear management would be forever tarnished if we did not allow the grizzly to inhabit every available corner of this one-of-a-kind ecosystem. What a terrible legacy for today’s stewards if we saved the land but imprisoned the grizzly, or the wolf or even the buffalo to the confines of our parks. How unforgiving it would be if we restricted our wildlife to minimum numbers driven by our unwillingness to accommodate instead of yielding them to the ecosystem’s intrinsic ability to support. Clearly, it takes much more than a park to protect the grizzly bear and its fellow wide-ranging species. And just as clearly, it will take more then inserting the word ecosystem into the Greater Yellowstone name- it will take a clear conservation vision relentlessly pursued with commitment and action. What a wild idea. Or is it? EDITOR’S NOTE: With pride, The Bullseye welcomes Franz J. Camenzind to its stable of columnists Camenzind is a widely-respected Greater Yellowstone conservationist. He received an undergraduate degree in biology from the University of Wisconsin-Stevens Point, (where he recently was honored as a distinguished alumni), a masters in zoology from Brigham Young University, and a PhD from the University of Wyoming with his dissertation focused on the natural history of coyotes around Jackson Hole. Camenzind is an award-winning wildlife cinematographer and was the first to film wild pandas in the wild in China. 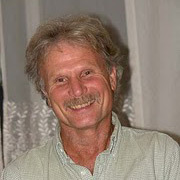 Among the subjects of his many other films besides coyotes and pandas: gray wolves, grizzly bears, pronghorn antelope and black rhinos, For several years, he was executive director of the Jackson Hole Conservation Alliance in addition to being among the core individuals who pushed for creating the Greater Yellowstone Coalition. Excellent article, Frank, George. Passing it on. Someone once said:”humans are turning the earth into a vast urbanzied human feedlot with our pathological driven birth and consumptopn rates”. All who love physical freedom and space are fighting a losing battle because man is not a rational animal. Our politics are nothing more than intellectual rubbish. The definition of insanity: doing the same thing repeatedly, expecting a different result. Why do we allow politics to trump logic, or science? Colorado has plans underway to “research” improving declining Mule Deer populations by targeted, intensive predator control. In 2016, have we not learned that this approach (as Leopold so profoundly considered) is systemic folly? Love them or hate them, America’s wild horses claim their ancestral homeland on our continent, and pre-date the arrival of Bison. They became protected by public demand and unanimous act of Congress in 1971. Continual shrinking of habitat, artificial boundary creation, creation of intense grazing competition through grazing permits on the few legal wild horse areas, and now de facto extinction are all results of misunderstanding what constitutes a “thriving natural ecological balance” among our paid professional managers. Monty (above) is surely correct in saying “man is not a rational animal” despite our vaunted claims otherwise. Failing to plan = planning to fail. I completely agree! Building a fence (?) seems to be the typical answer of anti wildlife people! And then there is the battle against wild horses & burros – wolves, mountain lions, bears, and horses & burros all are wildlife! They ALL deserve to be free & unencumbered by humans!! Management? No thats not the description of whats being done to these animals – any of them. Close down the grazing allotments – they are no longer needed. To continue to allow livestock producers to demand predator slaughter & wild horses to be sent to feedlots? NO – no more. “de facto extinction” is utter rubbish. Those feral domestic horses are con-specific with all 10 million pet horses on the continent. That congress did this or people think that is mere popularity, and is not evidence that it’s good. Well, the other day visited a farmers implement retail-feed store. And, a thought of a notion had occurred in that I found the aisle of work gloves and began reading the fine print on the backside of the labels attached to leather work gloves. The origins are China and USA, and materials are cow hide and horse hide. In regards to your statement of “those feral domestic horse are conspecific with all 10 million pet…h,” The irresponsibility’s and trait’s with private ownership of pet horses, feral domestic horses of the western frontier, as there is a world wide market. The feral domestic horse is sometimes branded under the lip, and or hip, and is not identified genetically, to wild Spanish mustangs. “de facto extinction is utter… r” I disagree to your point of view. What could possibly “go wrong? logistically in the known fundamentals of wildlife management assuming there is a natural catastrophic event that’s non-Manmade, effectually collapsing economics, and everyday way of life? What happens as to the way people think? Is US congress going to back reference popularity? with wildlife and environmental trending issues of the day? Are people whom are employed in certain sectors of state/government agency’s in having wildlife oversight, going to find a need “to change a GPS collar on a wolf” necessary? And or at the time of the natural catastrophic event, as an extreme example; will there be time for the retrieval in saving trained Navy dolphins from the oceans? Is zoo’s, Disneyland or SeaWorld going to remain a popular attraction? Whom is going to maintain stewardship logistically of public and federal wildlife and landscapes? “de facto extinction” is because the new field was so technical, there were very few who knew the ropes. I wonder if they’re at all working on finding who killed those wolf pups also.